The global financial crisis detonated in the West in 2007 has highlighted long-standing structural faults within capitalism, especially in its financialization of the economy – something that Marx and his predecessors already predicted. The current economic genocidal policies in nations such as Ireland, Greece, Portugal, Spain, Italy, and Cyprus, along with the bailouts to specific US corporations, and the slow down of China’s ‘new economy’, present a credibility check in the recognition of the predatory policies and practices of capitalism’s third hegemonic momentum. In fact such financialization of the economy, with its the recurrent and increasingly devastating financial debacles assailing the world’s capitalist economies, has been incapable of producing sustainable growth in any sector while creating economic genocide, and has resulted in driving societies towards social foreclosures strong-armed through painful strangulation of austerity policies that are asphyxiating public institutions and transforming the very notion of public good and democracy itself! 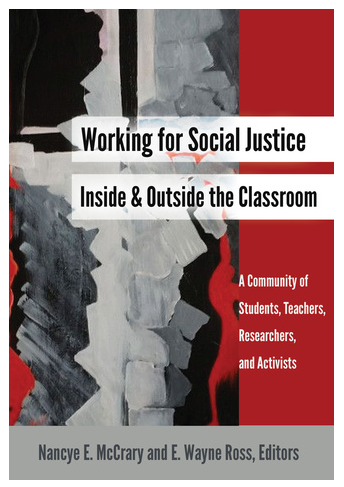 The 2013 Marxian Analysis of Society, School and Education SIG program asks scholars, educators and graduate students around the globe who are profoundly committed to the struggle for social and cognitive justice to help us examine the transformative role of education and schools in addressing the contemporary crises, as well as, addressing the role of educators in helping to resolve the contradictions of the present and to contribute to a better future for schools, education and society. 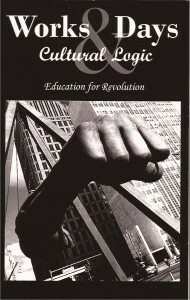 Therefore, we ask scholars, educators and graduate students to contribute papers, posters or symposium that utilize a Marxist/Class analysis that will critically address the impact of the late capitalism’s financialization of the economy on questions of schools, education and society and how to move from pre-history to history proper to create a more and just democratic society and education. Note: All submissions will be reviewed without author identification. Please submit them without author names on the abstracts or summaries. Proposals that bear the names of the authors and/or participants will not be considered for review and, consequently, will not be considered for the SIG #157 program for the 2013 AERA Annual Meeting. Some of last year’s papers (from the 2011 conference) will go into a special edition of JCEPS, the Journal for Critical Education Policy Studies, coming out in around April 2012. In addition, all the papers that were presented at the 2011 conference and were submitted in written form will be published as conference proceedings in the next couple of months.The website is in process of improvement, e.g. re methods of payment, also final keynote speakers not yet confirmed.. we are asking Dennis Beach, Dave Hill, Marnie Holborow, and Alex Callinicos. As well as leading Greek Marxists/critical educators. So, hope to see you at this conference in Athens in July! Last year’s was great- politically, intellectually, socially! The editors are also interested in reviews of books, film, and other media related to education for revolution. Article manuscripts should be approximately 5,000-10,000 words in length (20-40 pages), although we will consider manuscripts of varying lengths. The editors prefer that manuscripts be prepared using either APA or Chicago styles. Manuscripts should be submitted as email attachments (Microsoft Word or RTF) to the both editors: rgibson@pipeline.com and wayne.ross@ubc.ca. Authors interested in submitting manuscripts should email manuscript title and a brief description to the editors by December 1, 2011. Final manuscripts are due April 1, 2012. Cultural Logic, which has been online since 1997, is a non-profit, peer-reviewed, interdisciplinary journal that publishes essays, interviews, poetry, and reviews (books, films, and other media) by writers working in the Marxist tradition. Is an Emancipatory Communism Possible? immediate feelings of intense liberation, but they are usually followed by much longer periods of defense, setbacks, and painful reconstruction. The 20th century was the “Century of Revolutions,” but it eventually produced so little for humanity at such a high cost, that it is not surprising that many are very cautious, despite growing barbarism. Allan Armstrong will argue that it is vital that we outline a genuine new human emancipatory communism, which takes full stock of the failings of both “official” and “dissident Communism,” and which can persuasively show that human liberation can still be achieved. He will explore Marx’s vision, particularly as detailed in his “Critique of the Gotha Program,” which emphasizes the need to break with capitalist production relations rather than expecting a new society to come about through political changes.